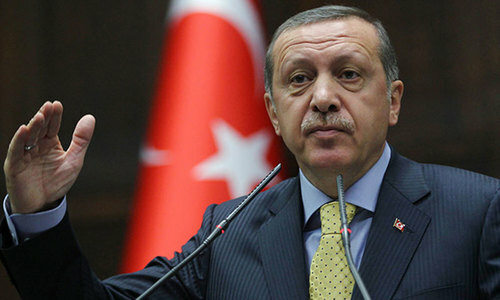 Turkish President Recep Tayyip Erdogan on Monday accused the security forces in Myanmar of waging a “Buddhist terror” against the Rohingya Muslim minority in the country, hundreds of thousands of whom have fled to neighbouring Bangladesh. Erdogan, who has repeatedly highlighted the plight of the Rohingya, again accused the Yangon government of carrying out a “genocide” against the people in Rakhine state. In a speech in Istanbul, Erdogan lamented the failure of the international community to lay sanctions against the Myanmar government over its campaign. “There is a very clear genocide over there,” Erdogan said. More than 430,000 Rohingya Muslims have fled across the border to Bangladesh from a military campaign which the UN says likely amounts to ethnic cleansing of the stateless minority. Before the most recent surge of violence, there were over one million Rohingyas in Myanmar's restive Rakhine state in the west of the overwhelmingly Buddhist country. 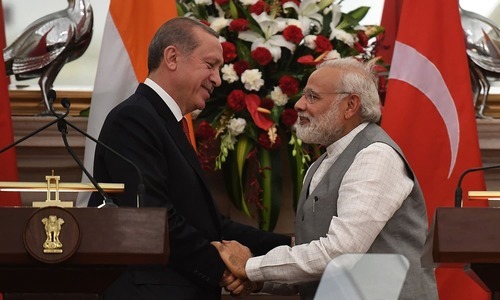 Erdogan, himself a pious Muslim, takes a sharp interest in the fate of Muslim communities across the world and notably sees himself as a champion of the Palestinian cause. Returning for a key personal theme, he lambasted the international community for being quick to denounce “Islamic terror” but not “Christian terror”, “Jewish terror” or “Buddhist terror”. Well said. I only wish Pakistan would have a leader like him. Spot on. He is a great man leading a great nation. Erdogan, a true leader of the world. I wish we have more leaders like him. 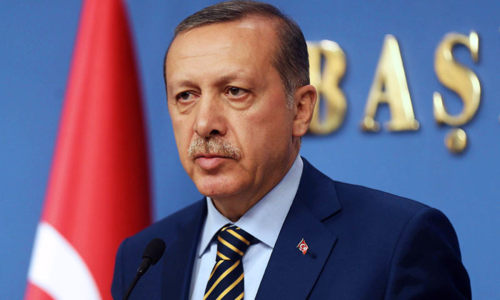 Sympathetic Erdogan should come forward and take Rohingyas to Turkey, give them citizenship and take care of them. After ZA Bhutto, Erdogan,suffering from oral dysentery and a dictetor in making, is trying to be a leader of the Islamic world. Very true. This double standard by certain 'champions of democracy' must end. Killing innocent people is a crime, regardless of victim's faith or religion. Erdogan proves once again why Turkey is seen as the leader of the Muslim world. Pakistani "leaders" are preoccupied with their checkbooks and scandals to focus on anything else. Great leader in Muslim world. You missed the Hindu terror, which is what Modi carried out in Gujrat. excellent. finally a muslim leader who has the guts to say the truth. please boycott Burma at all levels to show you mean business and india too. and Isreal too..
Thats why its Turkey and well respected, where our leaders are busy in looting. Shame. I wonder, where is Dalai Lama in this regard. There is no noise from him, is he petting this terrorism? Shame on you people. Salute to a great Leader. Erdogan is a great world leader! He has shown that many times. I wish there were more leaders like him.